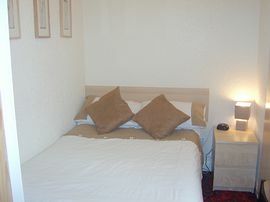 The "Seaforth Guest House" has six bedrooms, which are all modern and have new en-suites with power showers. The rooms are all well equipped with all modern conveniences and there is a hospitality tray, which is filled every morning; towels are changed daily; use of irons and ironing board. Radio Alarms and Hair Dryers in all rooms, plus 30 Channel Digital Televisions. We also have travel-cots for younger guests, please book in advance. We pride ourselves on our cleanliness. There is a wide variety of choice for breakfast. 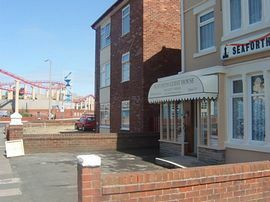 We are situated opposite the famous "Blackpool Pleasure Beach". A few yards away from "New South Promenade" and miles of "Blue Flag" sandy beach. 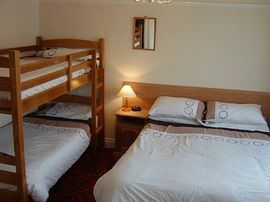 £20.00 to £25.00 per person per night Bed & Breakfast in an en-suite room. Children are half price when sharing a family room. We only accept bookings from couples and families. Review by Y.W. on 05 Sep 2008, who stayed in August 2008. 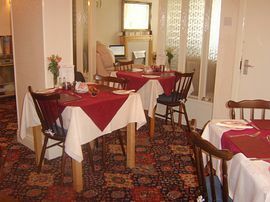 "This was a great B&B & we would recommend it. It was clean & tidy & ideal for what we wanted. Good choice of breakfast options." Review by J.M. 12 Apr 2008, who stayed in April 2008. "We had no complaints whatsoever about this guest house. It was clean, friendly, comfortable, welcoming....I could go on, but you get the idea. 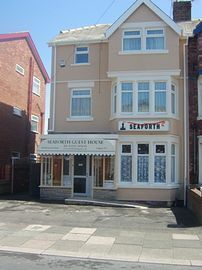 Located in the south area of Blackpool, this guest - house is ideally situated for the Pleasure Beach, Sandcastle and South pier, 3 mins walk from a tram stop and the same to the front gate of the Pleasure Beach. The rooms were a good size and for the price were more than acceptable. The breakfast choice was more than we had expected from a small guest house - but greatly appreciated all the same. Run by a very friendly lady - give this place a chance and I guarantee you will not be disappointed." Review by Anonymous on 24 Sep 2007, who stayed in September 2007. "Excellent value for money, good location, easy to find. Friendly hosts, lovely room with plenty of space for 4 of us. Good choice of Breakfast. Very enjoyable stay - would go back without hesitation & would recommend to others."